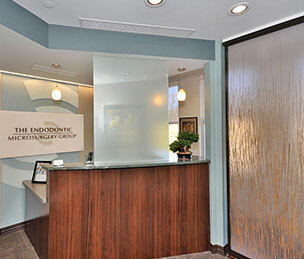 Equipment Brokers Inc. provides a full suite of solutions to bring your office concept to life. 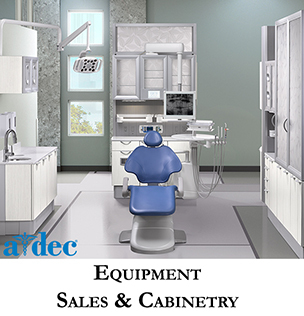 Equipment Brokers Inc. is an authorized dental dealer for major equipment manufacturers such as: A-dec, Accutron, Acteon, Air Techniques, J Morita, Midmark, Porter, Progeny, Scican, SolmeteX, Tuttnauer, Royal and W&H, as well as other major manufacturers. 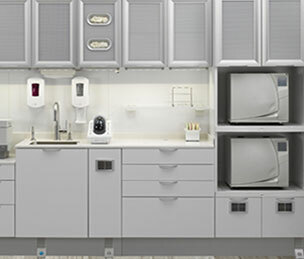 With an emphasis on equipment and cabinetry sales, our team works closely with clients to recommend and select the best equipment to match their concept and design. As authorized dealers of all of our dental equipment, we are able to provide clients extremely competitive pricing and personalized service to achieve their ideal office. Our team of factory-trained technicians are readily available to service your equipment. We provide same day service, or you can select a convenient date and time to schedule an appointment. You can click here to submit a service request. President and Chief Architect, Richard Jacobs, AIA, has over 25 years of experience designing dental offices. Mr. Jacobs’ studio, Architectural Design Associates (ADA), believes architecture is a creative and collaborative process that is centered on providing the highest quality design and service to every client. The ADA team specializes in maximizing space through our commitment to state-of-the-art and efficient design, pairing the design of your space with high-end equipment and cabinetry at extremely competitive pricing. © 2019, Equipment Brokers Inc. All Rights Reserved.